IOWA! (July 20-25) We’re excited to begin selling our beer in your fine state at the end of July. 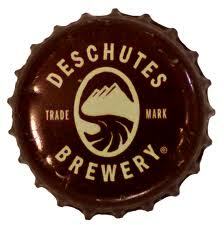 We’re kicking things off at the Cityview Beer Fest with Deschutes beer officially for sale on Monday, July 22nd. Stay tuned for event details at: http://www.deschutesbrewery.com/events and look for our team in Des Moines, Iowa City and Cedar Rapids. Break out those lawnmowers, BBQ’s and camping gear, because it’s ti me for the return of the summer beers. Twilight Summer Ale is a great compliment to those warm days and long nights where whole flower Amarillo, Northern Brewers, Cascade and Tettnang hops blend perfectly with sweet malts for a sensational seasonal ale. This clever, straw colored ale makes you think that you’re sippin’ on pure sunshine in a glass. Grab a 6-pack or two to share this summer ale with those you love most! Happy 25th Birthday to us! This luscious dark imperial porter has a dried fruit sweetness from figs and dates, chocolate notes from cocoa nibs, a slight tartness from added currants, and a hint of vanilla from Bourbon barrel aging. Grab a snifter at our pubs’ 25th Birthday Celebrations on June 27th or grab a bottle at a bottle shop near you. Since we are still aging this delicious brew, specs will soon be available on our website. Cheers to 25 years of craft beers! Founders Devil Dancer Has Arrived!